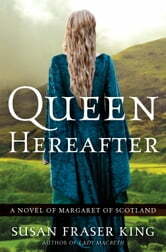 This book, about a strong, royal, Saxon woman in rugged Scotland emerging from the dark ages, has inspired me to read it's prequel "Lady Macbeth". I found a compelling draw to always return to the book. It is a story of a woman who was a pawn, used by a male in a male dominated society willed. Yet she finds her own way and in doing so fulfills not only her destiny but impacts that of her husband and ultimately Scotland in a time when women were considered valuable mostly for their breeding ability. This is a book for anyone interested in reading about strong women and in learning something about Celtic Scotland. It makes one appreciate the strong Scottish independence that endures even today. I read this book in one sitting! Entertaining and educational, which is just what i was looking for. I wouldn't hesitate to read anotber by SFKing. I enjoyed the book overall but the ending was too abrupt. A better place to end would have been with her death even if it meant that the book would be much longer.